Famous for his Wine Library TV video blog, Vaynerchuk is also known for founding a social media consulting company called VaynerMedia. In addition, he penned a bestselling business-themed book titled Crush It! Why Now is the Time to Cash in on Your Passion. Following his graduation from Massachusetts' Mount Ida College, he took over his father's New Jersey liquor business and renamed it the Wine Library. He and Samantha Ettus co-produced a web-based talk program called Obsessed TV. A goal of his is to make enough money so that he can purchase the New York Jets. A native of Babruysk, Belarus, he relocated to New Jersey, U.S.A. at the age of three. 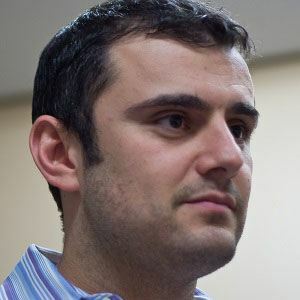 His brother AJ co-founded VaynerMedia. He married Lizzie Vaynerchuk in 2004; they have children named Zander and Misha together. He gave a speech at Summit at Sea in 2016 directly before Eric Schmidt.